Today’s Peachy deal is an exclusive collaborative kit from October Afternoon and Peachy Cheap. We have worked with October Afternoon to get these limited throw back kits from their Summertime line. This kit includes 10 double sided 8 x 11 papers, a set of ephemera/die-cuts, journaling cards, puffy stickers all in a variety of sizes. 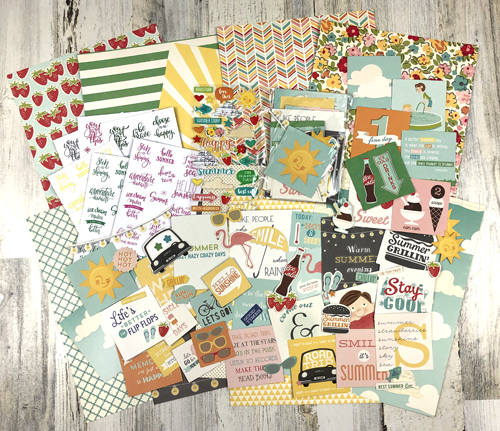 It also includes 6 sheets of summer, Spring and inspirational exclusive cardstock stickers in a variety of colors. You wont find this exact kit anywhere, it was exclusively made for Peachy Cheap.